I read this article and found it very interesting, thought it might be something for you. The article is called How to get the most out of exhibiting at events and is located at https://www.theofficerocks.com/get-exhibiting-events/. 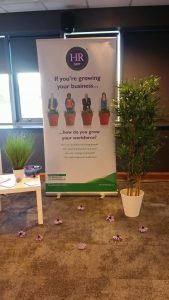 This week I attended the North East Expo at Newcastle Falcons and as always it was a well organised event and I had many useful and interesting conversations. Sitting down or staying on your feet – I know it’s a long day, I’ve done plenty of these events myself! But if you really must rest your feet, sit down while no one is around and stand up as soon as someone approaches. As a visitor it is difficult having a conversation with someone sat behind a desk in a noisy environment. Body language – smile and make eye contact! This sounds obvious, but I am truly baffled by how many people don’t do it. 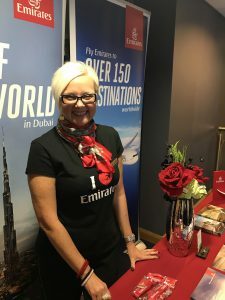 Here’s our lovely friend Tracy from Emirates, who has this nailed! Speak! 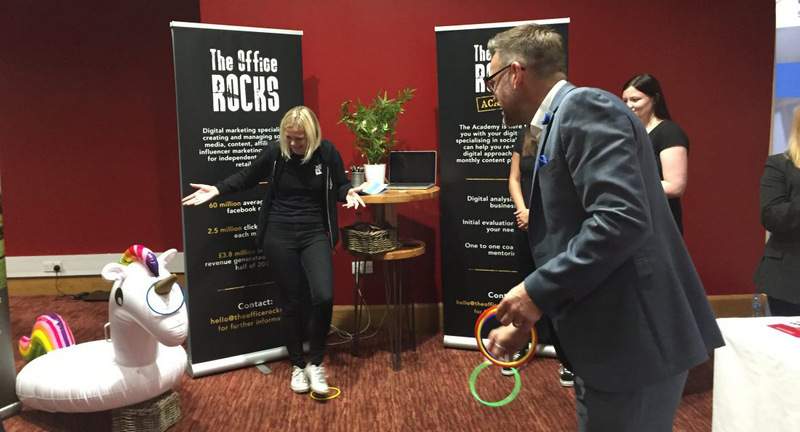 – you’ve spent all this money on a stand, you’ve invested time and maybe money in an engaging activity, you’ve taken the day out of the office and potentially driven miles, you need to make the most of it! And you can only do that if you speak to people. Every visitor is there because they want to make contacts, and they don’t have a table to hide behind. Make it easy for them, make the first move and say ‘hi’. I promise they’ll respond! What you’re going to say – once you’ve introduced yourself you’ll need to talk about your business. Think about the key information you want to get across before they move on. If you need to, practice your sales pitch in advance. And please, don’t forget to ask about the visitor. Integrate your activity with other marketing channels. Use social media to let people know in advance that you’ll be there, where to find you and if you’re doing something interesting let them know what – give them a reason to seek you out. Post pictures of the day, connect with people you’ve met on LinkedIn and if you’ve got something valuable to say, write a blog or perhaps a LinkedIn post about it.